The They Will Have To Kill Us First artist talks about using music as a means of healing in the wake of conflict. In the gripping documentary, They Will Have To Kill Us First, North Malian artists who were forbidden to play under the music ban of the extremist Sharia Law refuse to be silenced. In the midsts of the jihadist rule, the film follows Kharia Arby, Moussa Sidi, Fadimata “Disco” Walet Oumar, and Songhoy Blues, four groups of musicians from the region who have found refuge in the south and begun to bravely restore their communities through music despite the lethal possibility of conflict. It’s evident that the subjects are shaken, pensive, and unsure about their safety, but to them, expression and healing through music is a means for spiritual survival. Stemming from its rich and ancient oral traditions during the Malian empire onto The Desert Festival in Timbuktu, music is at the core of the culture in Mali. After following the conflict for just a few months, the film’s director, Johanna Schwartz left the U.K. for Mali to document the catapulting turmoil. She didn’t add to the oversaturated tales of despair that often inundate narratives around African issues, but instead, Schwartz chose to highlight the pride and resilience of Malian people through their music. As a longtime fan of the sound, she recognized its importance on the culture. “When I first heard that music had been banned I knew by creating an incredible story about these musicians, we’d would be able to open a huge number of minds and eyes in a way that a story strictly about conflict could not. By using the experiences of the musicians as a prism through which to talk about this issue, we’re changing a lot of people’s minds about what they think is important in the world,” Schwartz said to The FADER in a phone conversation. One of the acts from the film is Songhoy Blues, a stunning group of four former refugees who left unsafe areas of Mali to find one another in the city of Bamako. 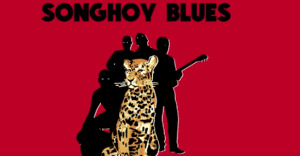 Since they caught the attention of Nick Zinner, from the Yeah Yeah Yeah’s, Songhoy Blues has gained a massive fan base while touring across Europe with upcoming dates in the states including their New York show on April 14. In an email with The FADER, Songhoy Blues member, Ailou Touré explained creating despite fear and pain, drawing inspiration from Kendrick Lamar, and why it’s crucial for them to record albums back home in Mali. What eliminated fear for you all during the conflict? I don't think the fear ever really left. It's impossible not to be afraid, even after we left the north of the country we all still had family that were still where the conflict was happening, how can you not be afraid when your loved ones are in that situation? But what does fear alone do? We made music together to try and do something positive to lift us out of the pain we were feeling at the time. It didn't mean that we weren't scared for our friends and family, but that fear gets you nowhere, we all felt we had to do something. What does the music say and do for the people of Mali? A lot of our songs are very direct, they have a specific message that we want to relate. In the film you see us writing a song called Babahou which tells the Malian diaspora to come back and help re-build Mali after the conflict, the rich, the educated, the students living abroad. "Petit Metier" means little job and the song is about everyone just getting on with their jobs after the war, that'll be how the country can recover, everyone just getting on with it. So I think that lyrically our music has a very direct message for Mali. But in terms of what it says...we want our music to promote Malian music in general. We hoped that by blending Malian traditional rhythms and grooves and blending them with something more contemporary and young, it gives people a way into Malian music that's accessible. Hopefully our music says "Hey, listen to music from Mali". We want to be ambassadors for our country, to show that it’s more than conflict and poverty, it’s got incredible culture and music and lots to be excited about. What's it like to be looked at as some of the artists who are reclaiming the music movement from Mali? I don't think we're reclaiming it so much as trying to promote it outside of the country as much as possible. Mali has always had great music from Ali Farka to Fatoumata Diawara, Salif Keita and Toumani Diabate. I think what's different for us is blending American music with Malian to find a new way to promote Malian culture. We feel a great deal of responsibility now that we have a platform to do that from. Although you use contemporary instruments, you're still creating music with a traditionally influenced African sound. Why is it so important for Songhoy Blues to present African music to the world with joy and pride? Because we love Malian music! For us it's the best music in the world. We love a lot of other music too, Kendrick Lamar, Jimi Hendrix, Alabama Shakes are all inspiring for us. So we try to harness those two things and give people a route into listening to Malian music. In a way we want to be ambassadors for our country, to show that it's more than conflict and poverty, it's got incredible culture and music and lots to be excited about. When you all work on new music, you record in Mali. Why's it important for you to go back home to work in that creative space? Why's that necessary for the recording process? Of course. It's for the same reason that we haven't decided to move away from Bamako. The last year we could have moved to London or Paris, it would have been safer, easier even. But what good does that do for our country? So by staying in Bamako, we send a message to other people that they should stay or come back to help re-build the country. When we sat down to talk about working on the new album a lot of people were telling us to record it in the U.K. or America even, a lot of producers might think twice about coming to Mali but for us it's important to show that we're still committed to where we're from and to promote Mali as a place to make music. Your album Music in Exile is out and you're also working on a new album. What will these songs be about? When can we expect to hear the new music? Yes! We started writing new songs when we got back to Mali on December and started sketching out demos in February. We're really excited to start recording the songs. I think lyrically these songs are more outward looking than before. When we were writing songs for the first album a lot of the things that we were writing were messages to our country, to be patient, to work hard. We never expected to have the platform that we have now to promote Malian culture so now we have a responsibility to look outwards. These songs are more a celebration of what's great in Mali rather than messages of hope for the people there. Musically we feel like we can be much more ambitious too. These songs aren't as straightforward as before, they bring in all our influences from blues to soul, hip hop, and R&B but still with the same Malian roots. They Will Kill Us First is screening in cities across the U.S. until July 8th. Tickets are available for purchase.